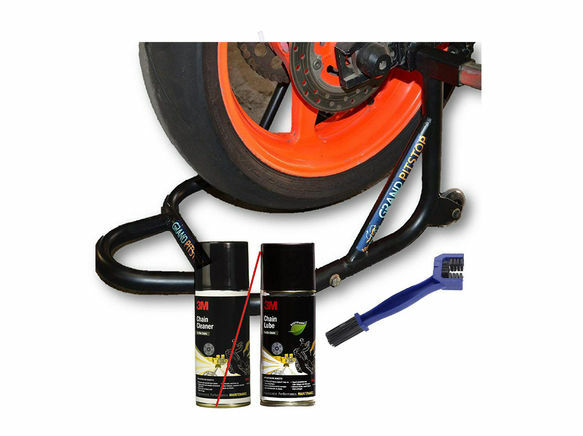 GrandPitstop's Rear Paddock Stand with Swing arm rest - Black Do your Simple work of maintenance easily with GrandPitstop's Rear Paddock Stand with Swing arm Rest. 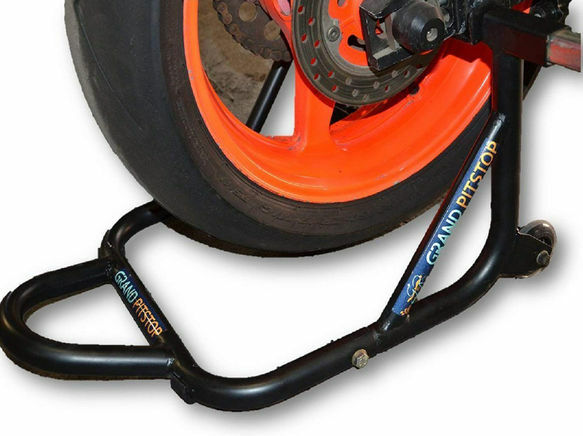 The Paddock stand can be used on almost any kind of motorcycle, even it does not have swing arm mounted spools to attach the claw end of the paddock stand. 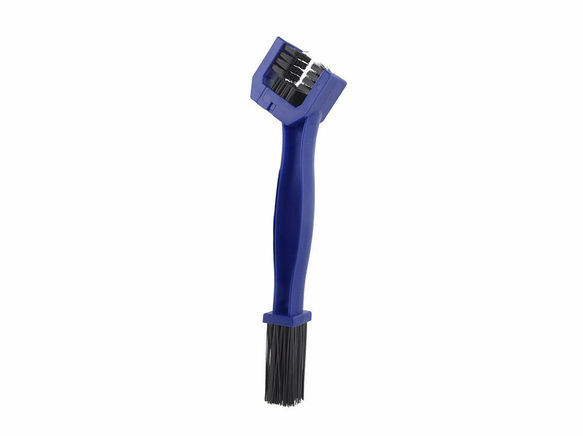 Made of heavy-duty steel to ensure durability, this stand is Powder coated to prevent any kind of rusting. The stand comes with an L-shaped attachment that can be placed underneath the swingarm. A rubber pad on the metal surface ensures that there the mount does not leave any scratches on the swingarm. There's another set of rubber pads below the paddock stand handle that ensures the surface that it rests on, say a tile for instance, does not get scuffed or damaged.